Researchers from the University of Cape Town have discovered how to create bricks from human urine. 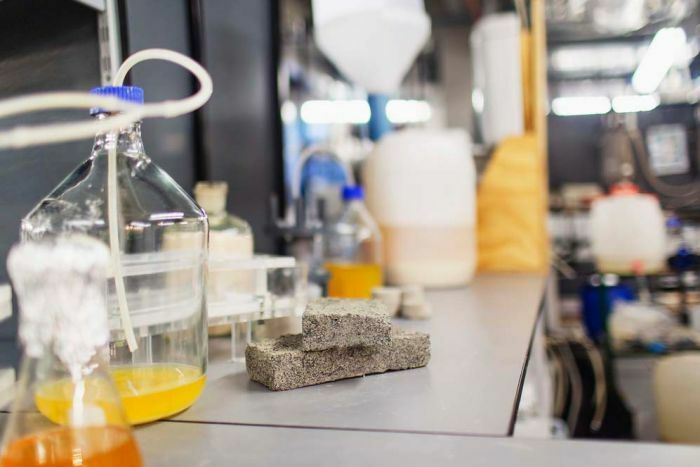 The “bio-brick” is made by mixing sand with a bacteria that produces urase — an enzyme that breaks down the urea in urine while at the same time producing calcium carbonate. When mixed, the result is a brick that is on-par with limestone bricks. But what’s different is that the bio-bricks’ strength can be scaled up and down depending on how long the bacteria is allowed to grow. The bulk of bricks made worldwide still come from a rudimentary process where kilns are fired at 1,400 degrees Celsius, producing copious amounts of carbon dioxide. This process, however, produces zero waste, as the by-products are nitrogen and potassium — elements that are used within commercial fertilisers. “What we do last is take the remaining liquid product from the bio-brick process and make a second fertiliser,” Dr Randall said. Dr Randall told the BBC the process, known as microbial carbonate precipitation, mirrors “the same way that coral is made in the ocean”. This kind of process has obvious benefits for the construction and architecture sector, where living materials could significantly bring down maintenance costs as structures wear. In the latter half of the 20th century, countless examples of brutalist architecture were lost as concrete corroded from the inside because maintenance was neglected. However, recent years have seen advances in self-healing material technology, with a research team from Binghamton University, New York, finding a fungi that produces self-healing concrete. The idea of self-healing materials isn’t exactly new. Roman engineers stumbled upon compounds that similarly contained calcium carbonate, leading to ancient structures that have survived to this day. The trouble was that the Romans didn’t exactly note what compounds were needed to make the material. Research published in the journal American Mineralogist in 2017 found that Roman concrete contained rare minerals such as tobermorite and philipsite, which crystallised when exposed to seawater over time, making structures stronger as they aged. 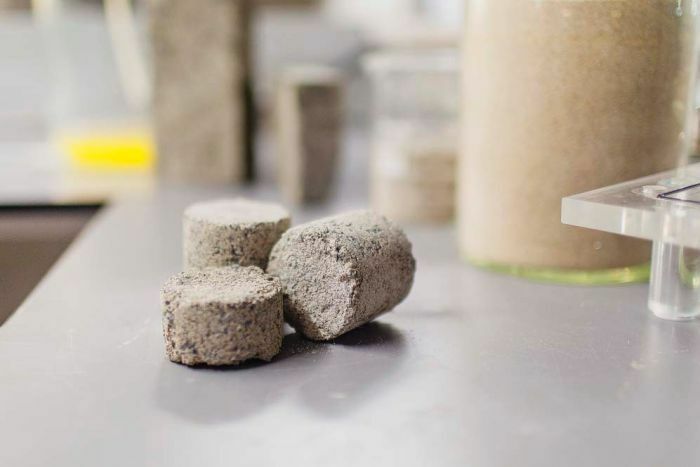 While the team at the University of Cape Town aren’t in a position to produce their bricks at an industrial scale, their research does point to a future where human pee can participate in sustainable construction. “No-one’s looked at it in terms of that entire cycle and the potential to recover multiple valuable products,” Dr Randall said.